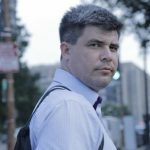 Eldar Asanov is a linguist and journalist whose research at GW is dedicated to the problems of mass media, censorship and public debate in Uzbekistan. 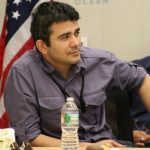 Eldar has extensive experience working in Uzbek media in digital and print journalism as well as in television. 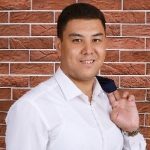 He is also a founder of the popular scientific blog “Asanov Format”. He was an editor and project manager at the “Daryo.uz” news portal and participates in the Internews Network and EU joint grant on opposing violent extremism in Central Asia. 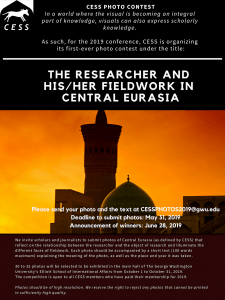 His other research interests include nouvelle histoire of Central Asia, mass media, language policy, anthropology, and nation building in Central Asia. He earned a BA in Mass Media and an MA in Public Relations from National University of Uzbekistan. He completed a PhD in Applied Linguistics at Tashkent State University. Donohon Abdugafurova researches women’s religious identity, education, and justifications for unveiling in Uzbekistan while at GW. Donohon also currently a PhD Candidate (ABD) in the Islamic Civilizations Studies Program at Emory University. 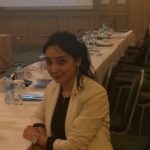 Her research interests are related to gender, Central Asian Intellectual history, Sufism, women’s literature and life writing, education, upbringing and ethics in Uzbek society. 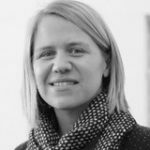 Her articles are published in Central Asian Affairs, The Journal of Georgetown Gender and Law, and others. 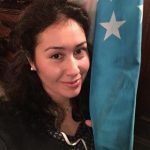 She earned a BA in Uzbek Philology from Namangan State University and an MA in Curriculum and Instruction from the University of Wyoming. She is currently a PhD candidate in Islamic Civilization Studies at Emory University. Sherzod Eraliev analyzes the impact of return migration of highly-skilled Uzbeks on socio-political changes in Uzbekistan while at GW. 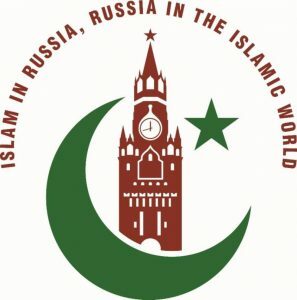 Sherzod is currently a postdoctoral researcher at the Aleksanteri Institute of the University of Helsinki where he is a member of the research team Migration, Shadow Economy and Parallel Legal Orders in Russia. He has extensive work experience with local media and international organizations in Uzbekistan including UNDP. His research interests include migration policies, migration regimes, skilled migration, migration and religion, and politics in Central Asia/Eurasia. He received his MA from the University of Manchester, UK, and PhD from the University of Tsukuba, Japan. Fotima Israilova researches female entrepreneurs as the next wave of economic success in Uzbekistan while at GW. Fotima argues that women are key to reducing income inequality and growing the Uzbek economy. She works for the United Nations Development Program in Tashkent. She earned a BA in Business Administration from Westminster International University in Tashkent, Uzbekistan. Firdavs Navruzov is an education leader and expert researching private sector education in Uzbekistan while at GW. In Uzbekistan Firdavs manages the language and tutoring school “LTC Leader” and a private school “The Knowledge Academy”. He participated in the Edmund S. Muskie Internship Program in 2015 at the US Department of Education. He earned a BA and MA in English Philology and Literary Criticism from Bukhara State University, and an MA in Teaching English as a Second Language from Minnesota State University on a Fulbright Foreign Student Fellowship. Bakhrom Radjabov focuses on the application of public sector innovations in the Eurasian region and during his stay at GW examines social innovations in local governments and communities in Uzbekistan.Previously Bakhrom worked as a Senior Administrative Assistant at OSCE/ODIHR Limited Election Observation Mission to the Republic of Uzbekistan. 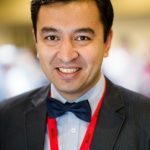 From 2012-2014 he worked at UNDP in Uzbekistan where he led programmatic efforts in the areas of public outreach and promotion of social innovation in Uzbekistan. He holds an MA in International Studies from the University of Tsukuba, Japan, and an MA in Global Political Economy from the University of Kassel in Germany. He is currently completing his Ph.D. at the University of Tsukuba. on Critical Analysis of UNDP Supported Social Innovations in Governance: Case Studies of Armenia, Ukraine and Uzbekistan. 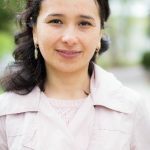 Dilnoza Ubaydullaeva is an education expert and researcher who studies trends in internationalization of higher education in Uzbekistan while at GW. Dilnoza’s focus is the proliferation of foreign university branch-campuses and their role in reforming the higher education sector. She earned an BA and an MA in English Philology and Linguistics at State University of World Languages, Uzbekistan. She also holds a MA in International Studies from the University of Tsukuba, Japan. 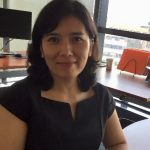 Surayyo Usmanova’s research while at GW explores opportunities for Uzbekistan’s new linkages for tourism as factors for economic development and integration into the international community. Surayyo teaches Public International Law and International Tourism Law at the University of World Economy and Diplomacy, where she also leads the Council of Youth Scientists for International Law Faculty in Uzbekistan. Her research interests include international security law, Muslim Law, international-legal aspects of tourism and legal issues of parliamentary diplomacy. She earned a BA in International Law and an MA in Diplomatic and Consular Law at the University of World Economy and Diplomacy, where she is currently a PhD candidate in International Law. Kamilla Zakirova’s research at GWU will examine how integrating minorities and vulnerable groups will improve human capital in Uzbekistan. 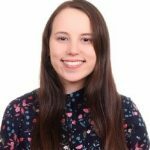 Kamilla has worked for the Eurasia Foundation with the Uzbekistan team since 2016, focusing on vulnerable groups and minorities. Her experience includes working for a leading telecommunication company in Uzbekistan, engagement with U.S. Mission to the OSCE, and consulting a Washington, DC based think tank on counter terrorism. She earned a BA from Tashkent University of Information Technology.